Whirlpool brand starts with appliances made for real life, so you can finish with a kitchen design that says home. With subtle metallic undertones that reflect natural light, this brushed satin finish gives your kitchen a soft, warm glow — any time of day. Evolutionary design with traditional elegance that adds an element of sophistocation to your kitchen. Care can be messy. 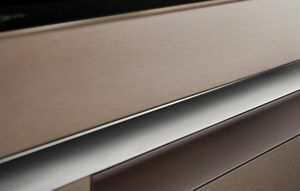 That's why appliance finishes that resist fingerprints with steel that's easy to wipe clean are made for hands-on living. 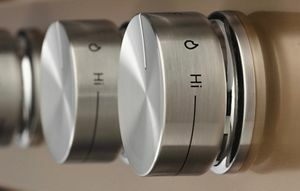 The bladed knob adds a sleek edge to your kitchen design and continuity to your appliances. 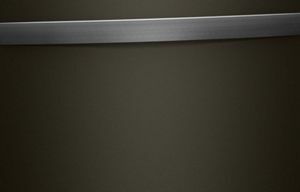 The curved handle puts a sophisticated twist on kitchen style, providing visual interest to trim and traditional lines. Created to work with open floor plans, this design's sleek lines complement modern decor for a cohesive look throughout your space. Care can be messy. That's why sunset bronze and stainless steel that resist fingerprints and are easy to wipe clean are made for hands-on living. 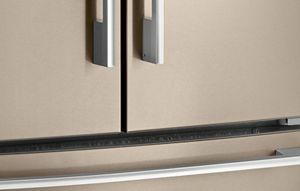 The simple lines of the chef-inspired Barrel knob lend a clean, modern look to the kitchen. 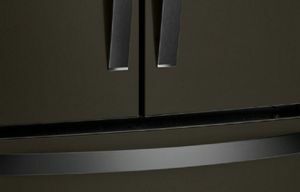 The slim Contemporary handle was designed to complement modern tableware and drawer pulls. Find the design, colour, finish and features to fit your home and lifestyle. With hundreds of possible combinations, there’s a perfect suite for everyone. Tall items fit right in with an adjustable center pane that slides back, stopping at any point to give you the room you need, even if it’s just an inch. Keep wide, flat items like brownie pans, lasagna and pizza boxes tucked out of the way and safe from stacking. Skip preheating frozen food like lasagna and pizza so you can get dinner from the oven to the table in less time. Get two elements in one. A 6″ inner ring is great for smaller pans while a 9″ outer ring makes room for larger cookware. 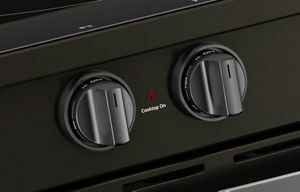 Cooking appliance features like Frozen Bake™ technology and FlexHeat™ elements keep the family on schedule, even if they’re running behind. Cleans with twice the jets for more coverage1 and targeted cleaning with increased water pressure. Take advantage of 37% more rack space2 to load more dishes and get extra room for hard-to-fit items. Find the right Whirlpool® appliance model in a few easy steps. Design your new kitchen with the Whirlpool® appliances using our new kitchen suite builder. 1. Compared to Whirlpool® dishwashers without TotalCoverage spray arm.